If somebody does something nice for you, you say “thank you!” If something good happens to you, I know you say ‘thank you’ then too. We have many things to be thankful for at the North Pole. Mrs. Claus is so happy to have helpers in her kitchen. I am so happy I have my elves and reindeer. That is why we like to have a special day too. A special day to be thankful for all we have! Our special day starts with the elves playing games outside. It is fun to kick a ball in the snow! Sometimes the ball even goes in the snow goal! Clumsy the Elf tried to kick the ball but missed and fell! “Ouch”, he said, rubbing his behind. Did that stop him? No! He got right back up and brushed off the snow. His next kick was a goal! Everyone laughed. Clumsy said, “Well, at least I did not end up with a turkey on my head this year!” Everyone laughed even more. Mrs. Claus and her helpers got up early to make a yummy meal. Time to stuff the turkey! Kissy the Elf stopped by to help. She made gingerbread cookie stuffing. The elves love gingerbread so much that they ate all of the stuffing! After, Clumsy the Elf helped set the table. He did a good job but he forgot to set a place for me! It was OK. I sat with Mrs. Claus! Wow, we were hungry! We ate, got tired and took a nap. Eating a big dinner can make you sleepy! Do you know what is so nice about this day? We all get to play and work together and then eat good food with people we love! P.S. What do you like to do on a ‘Thank You” day?! You can click here to tell me or, scroll down to see what others’ have written! Dear Santa thank you from the bottom of my heart for all that you, the Elves, Reindeer, & Mrs. Claus, as well as our Heavenly Father do year round. You help children to grow up believing in magic & miracles! You all also inspire people to be they’re best selves as they should be, you remind them of that. You bless us with the gifts of family time, smiles, as well as love which are things that are often forgotten in this day & age! You remind us all that the true joy is in giving not receiving. That it is the thought that counts. You bring out the best in people of all ages even at the worst of times. Thank you all for helping the world celebrate the birth of our greatest gift of all our Savior Jesus! Just kidding i dont care if your nam is Daniel and mine is too! Santa Claus thank you for delivering gift to all the chilren around the world and you even gave me presents when I was a baby. Well I wish you all a Merry Christmas. i am trying hard to be Santa’s little elf. thanks for presents, my family and the best brother i could have. my mum said he asked you for a present for me when he wrote his letter to Santa, does that mean i get more presents?. Oh i also say thank you to all the helper people who help people who don’t have lots I gave my toys and old clothes to them cos i don’t need them any more. What I would say thank you to is my (way funny) cusens, Katie,Ben, Joushua, Amilia,Charlate, Ethan, Avrey, Rebeca,Colen, and,Edan . Hi, Santa! I wish I could see you right now! We are decorating for Christmas right now, and my sister was coming up the stairs with bells’ and I thought it was you coming down the chimney checking on me, and I have to admit, I got a little scared! I love Thank you day because you get to Thank everyone and be giving to people that you know!! !Thank you Santa for all the presents that I got and all the letters from you! You mean my life to me, you will always be in my heart love you all so much! hey santa i’ve been pretty good 4 a long time. i’m 11 and i believe in u with all my heart. i no it’s good 2 say thank u, and i say it when i’m supposed 2. Sorry for getting onto the naughty list! i also emailed u, and no i’m not married yet. hahaha so funny(not). but what i really want is a chinese or vietnamese baby sister b/c i love being around babies. 2 days ago at my church i was helping my mom at the nursery(that’s worthy of the Nice list:), and i was helping her take care of the cutest baby in the whole church. my mom left a lot so technically i was the 1 taking care of her but i got 2 hold the cutest baby in the church! pleaz give me all i want 4 christmas. it may seem like i’m really mean, obnoxious, and rude, but i’m not. I’ve just been pretty good all week. i think christmas is my first favorit holiday.expelci when you bring my presents.and i know that some people are on the naughty list and that makes you fell not good. I love to have people over at my house on ” Thank You ” day, because then we get to have fun as a family. My cousin and I make videos and send them to people. My great uncle LOVES to tease me. (in a funny way)My grandma is just the sweetest thing. She lets me have her piece of pie usually. YUMM! It is just fun to be with family on a day of Thanks. Hey just wanted to say you rock and do not give up trying to make all those presents and I have a better idea then leaving cole for bad kids maybe just a note saying try to be better and if that dosen’t work just go back to no presents and cole! Thank you SO much Santa! I love all you’re presents that you give me. P.S. Tell Mrs. Clause, Rudolph and all the elfs at the north pole Hi for me! Thank you Santa, Mrs.Claus,the elves and the reindeer for making Christmas great! In Warrenton we have Thanksgiving I am thankful for a lot of things like my family , my friends , my toys , and my school,and Jesus,and God. Merry Christmas Santa! I hope you have a wonderful Christmas!Thank you for making and buying toys for us! well be cos you wack hard and do all the gifs i will say sant. 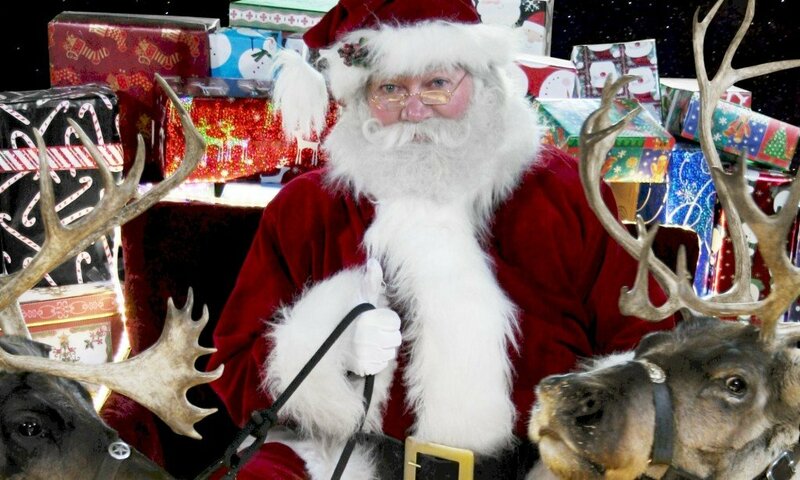 thank you Santa for taking the time to be on this site it helps to keep Christmas alive. since it is thank you day i want to say THANK YOU!!!!!!!!!!! I just like to be helpful. Have you got any good Christmas present suggestions? If you have please say this is urgent!!!!!!! I like to make someone feel happy! Hey santa in your letter you told me to write on this website any way I was so thankful to be around the people I love and other things to be for.And I’m thankful for the true meaning of christms and the elves also you. It is really nice to say thankyou! Have a very wonderful “Thank You Day” Two days ago me and my family made two great big snowpeople in our yard. We named one Happy and one Holly! Thankyou for all the effort you put into Christmas for us! Hi, Merry long time untill Christmas! We love Christmas! It happens to be our favorite holiday! Thank you Santa, for making our Christmases so memorable. Like the one where we got fake coal. Hey, where do we send letters so they get to you? Send your letters to me at emailSanta.com! I like spending it with mom,Lucky,Treasure and Irene. We’re all we have since my step-dad passed away. This is Bitty from Arlington Heights, IL. I like to have a nice big meal with my family and friends. We eat turkey, ham, stuffing, mashed potatoes, corn, sweet potatoes, apple sauce, green bean casorole, steamed broccoli and coliflower covered in crackers and cheese, cookies, pie, and cake. I am very thankful for having such a great family, friends, having a roof over my head, food to eat, and i am thankful for God, saints, and angels, and i am thankful to have a Santa Claus. 31 days until Christmas! I can’t wait! We put up all of our decorations and tree! I love Christmas. Now it is time for black friday shopping! I can’t wait for you to come of Christmas Eve! I LOVE CHRISTMAS AND YOU SANTA. Thank you for all the hardwork, toys, and joy you and the whole North Pole bring. Without you Christmas wouldn’t feel right. It is also a time to be thankful for our savior Jesus. He is the reason for the season. Happy Thanksgiving Santa and the North Pole! PS I saw Aurthur Christmas Yesterday! That is my most favorite movie in the whole world! I also saw you at the mall almost 2 weeks ago. and took my picture with you! I was so excited. I will send you a Christmas List by December. Santa thank you for all the hard work you and your elfs put in the make and wrap all the presents. What i like to do on a thank you day is to spend time with my family and give thanks to the people that help me and my family.This is what i like to do on a thank you day and i hope you do too. DEAR SANTA. Santa you are class.you are one of my favourite things about Cristmas.pleas give me my presants that I ask for this Cristmas.if you cant give me all my presants that is fine.I wont mind.I will still try my best to be good.thanks for the message on my mam and dads G-mail last year. say hi to mrs.clause and the eleves for me.hope you have a good Cristmas.yours sincerely kayley p.s. merry Cristmas bye muh gulp love you. Hi Santa! I just wanted to say thank you for all of the presents you’ve gave me, my family, and the rest of the world! I like macaroni and cheese .I like to play outside . And I like to play base ball . I am thankful for all my family . And I thankful for all my toys from Santa and that my mom makes food for the reindeer . And I thankful that Santa loves all the children in the world . thank you for saying that i’m been a very good girl this year. Previous PostPrevious I think someone stuck a candycane in my blog!